If you want to celebrate St. Patrick's Day with more than just fun decorations, but don't think you can talk your family into cabbage and soda bread, check out this fun Irish potato candy. The kids can help make it and will surely enjoy eating it. 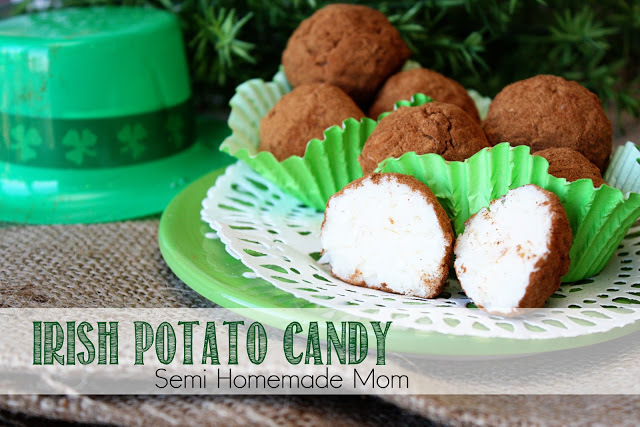 You can get the Irish potato candy recipe over at Semi Homemade Mom.